Mobile phone operator Three has been fined £1.9m by regulator Ofcom after a weakness in its emergency call network was uncovered. Ofcom said it found that the company broke a key rule designed to ensure everyone can contact 999 services at all times - a rule it said was "of utmost importance to public health and safety". The regulator said mobile networks were expected to be resilient enough that emergency calls could be connected, even if they experience technical problems. It said Three had notified it on 6 October last year of a temporary loss of service affecting customers in Kent, Hampshire and parts of London. Ofcom's investigation found that back-up routes were directed through a single data centre meaning they were vulnerable to a single point of failure. To resolve this, Three added an additional back-up route, the regulator said. 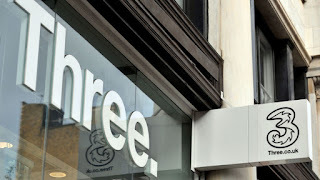 It said the breach of rules was not the incident itself, but rather the weakness identified in Three's network, and that the company "did not act deliberately or recklessly". "Today's fine serves as a clear warning to the wider telecoms industry. "Providers must take all necessary steps to ensure uninterrupted access to emergency services." Three said: "Providing our customers with uninterrupted access to emergency services is a requirement we take extremely seriously." It said there had been no impact on customers and that it had taken immediate action during the episode, which was quickly resolved.